How To Make Crepes: The Simplest Method | Simple. Tasty. Good. Do you know how to make crepes? The secret behind the perfect crepe is its thinness. Don’t make them as thick as pancakes! Here’s how to make crepes properly. The ingredients are simple: flour, milk, sugar and eggs. The ratio between them is important to make the crepes extremely light and fluffy. 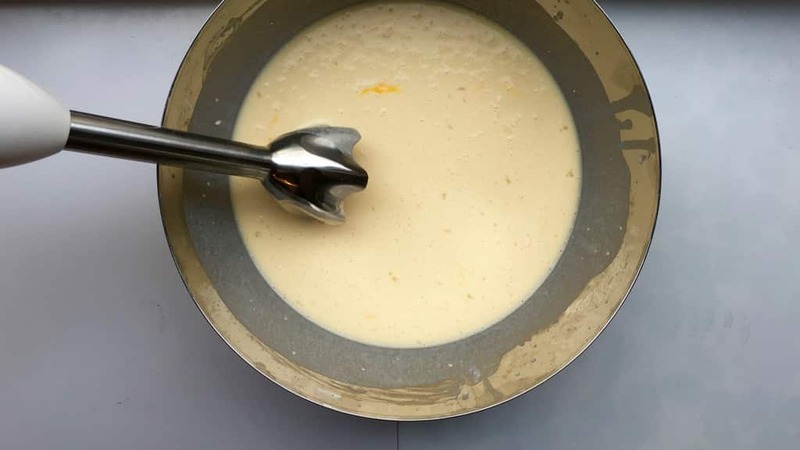 My brother-in-law even suggested adding a bit of beer or sparkling water to the batter to make it extra light and crunchy, just like you would with fish and chips. Don’t worry if that first crepe fails, it’s normal. The pan might not be at the good temperature yet. I normally heat my pan to a maximum for 10 minutes without using it and then I lower the heat until I find the perfect balance between the heat and the pan. Sure this can take a couple of minutes before you got your first perfect crepe out. Crepes always make me think of my dad because the only times I remember him in the kitchen was when he was making stacks of crepes, manning 3 pans at a time. We kids would hang around in the kitchen eyeing the first couple of crepes he made and when he cast them aside we all fought for those little scraps because we knew it would take 2 hours or so before he would be finished baking the rest. We had them for dinner mainly. My favorite way: spread with brown sugar and rolled up, just like the ones in my picture. Other popular toppings: marmalade, butter, icing sugar and Nutella. Another one of my favorites with crepes is crepes suzette or crepes in a sweet orange and grand marnier sauce! And who says that crepes have to be sweet! 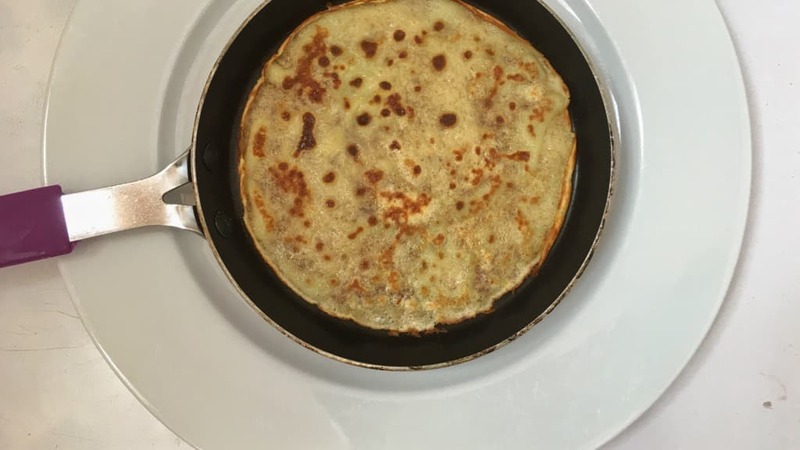 Check out two of my hearty crepes recipes: my sliced crepe soup (German Frittatensuppe) and French stuffed buckwheat crepes with ham, eggs and cheese or Breton galettes! 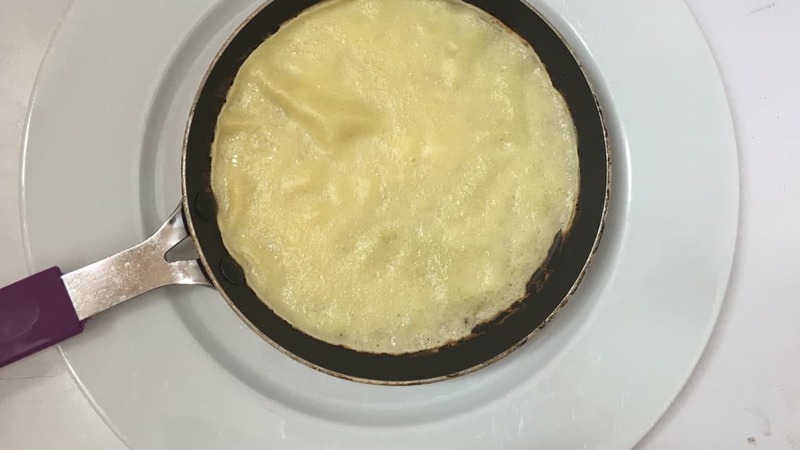 How to make crepes: failproof recipe! Add the milk, sugar, butter and vanilla essence (or bean, sliced in half) to a large saucepan. Place this over medium heat. 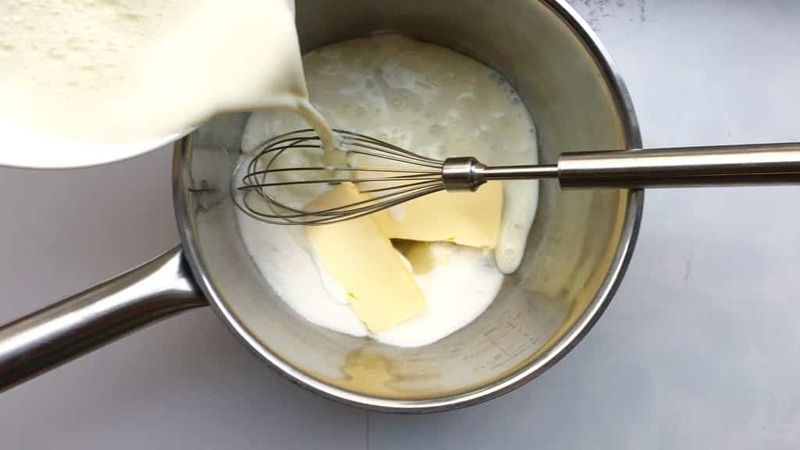 Let the milk warm through until the butter has melted. Don’t let it boil. Then take the pan off the heat and let it cool down for 10 minutes. 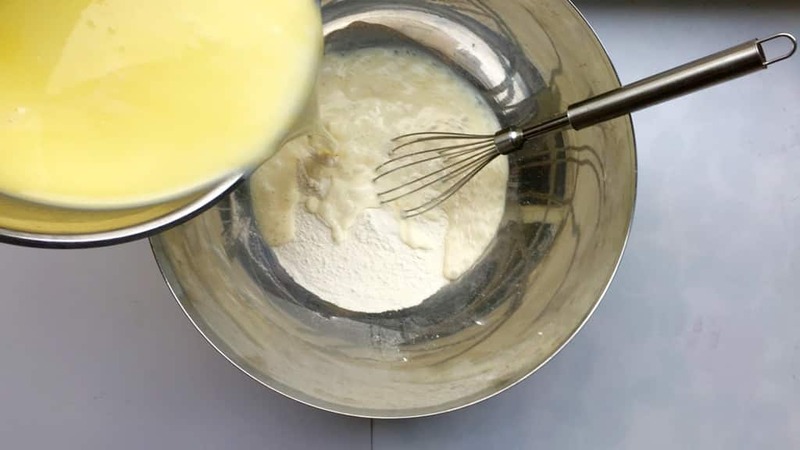 Sift the self-raising flour over a large mixing bowl and add the cooled milk mixture. Stir well. Also add the eggs and a pinch of salt. Stir well again. Then blend or mix the batter for just 10 seconds to make sure there are no floury lumps in it anymore. Let the batter rest for 45 minutes at room temperature before baking the crepes. 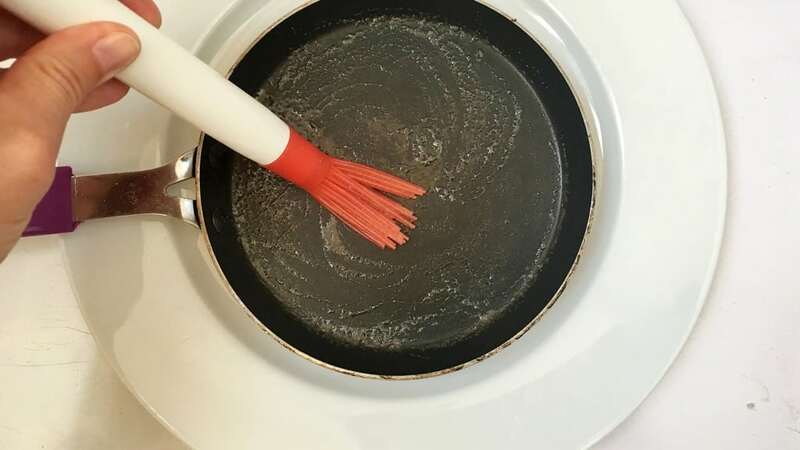 Brush a non-stick frying pan with a little drop of vegetable oil (or melted butter). Place the pan over medium heat. Add a spoonful of the crepe batter (depending on how large your frying pan is) but not too much, the crepes have the be very thin. Move the pan around a bit so the batter spreads evenly. Bake the crepe for about 2 minutes or until the edges start to brown. Then check the cooked side to see if it looks golden enough. 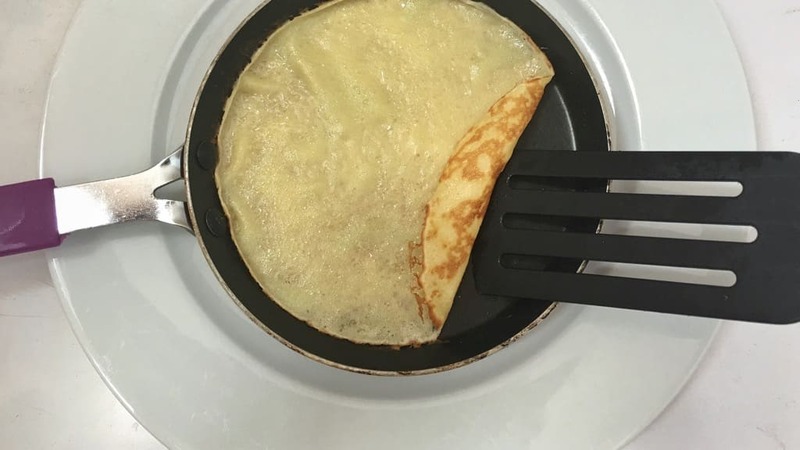 Flip the crepe over using a spatula. Bake the crepe for another 2 minutes or so. Transfer the crepe onto a clean plate and cover with tinfoil to keep the stack of crepes warm. 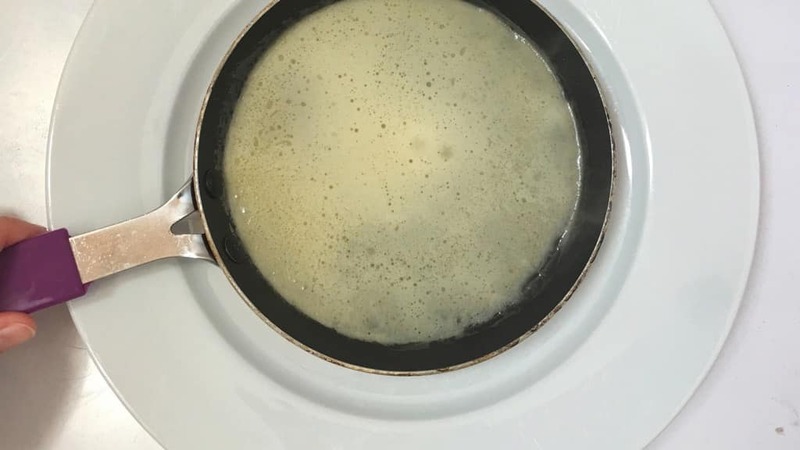 Brush the hot pan lightly with another drop of vegetable oil, add some of the batter and bake crepes until the batter is used. Now you know how to make crepes! They look harder to make than they are. Sure I grew up with them so I should know how to make them. 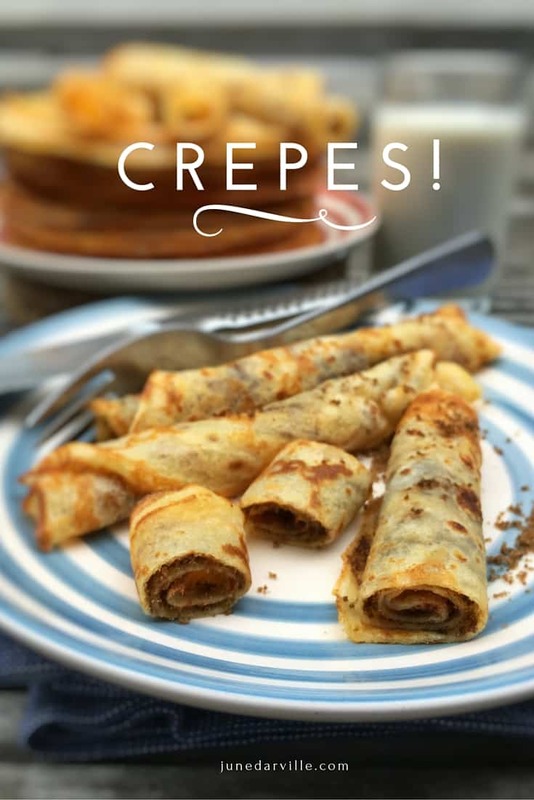 Crepes are a delicious afternoon snack, dessert or in my childhood: a sweet dinner! 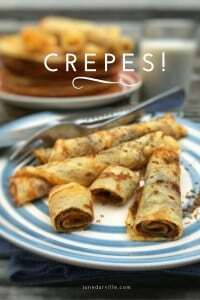 You would be surprised to see that crepes can be found in quite a few European cuisines, sweet and savory. 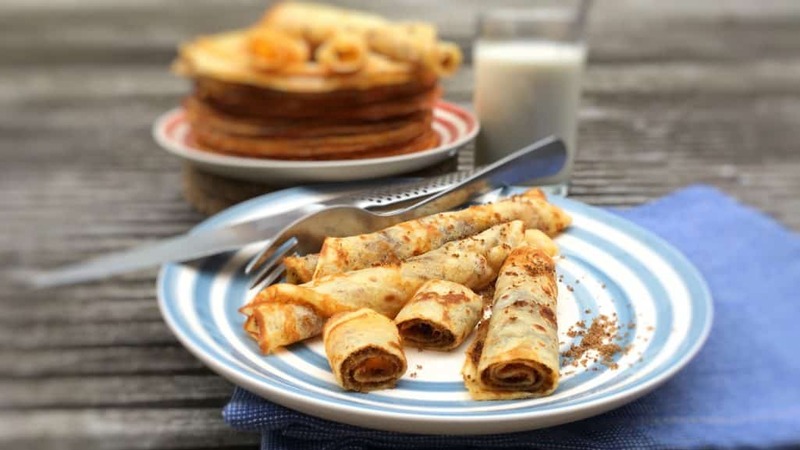 In France for instance in the Brittany region hearty crepes are a classic dish: they are made of self-raising wheat flour or buckwheat flour. The crepe can be stuffed with grated cheese, onion, bacon, ham, fried eggs, mushrooms tomatoes… The most popular one is a crepe stuffed with cheese, ham and an egg. In France these crepes are known as ‘galette bretonne’ or Brittany galette. A must try! I have come across a savory stuffed crepes casserole, rolled up crepes placed next to each other in a large baking dish like cannelloni, then sprinkle with white sauce and/or grated cheese. 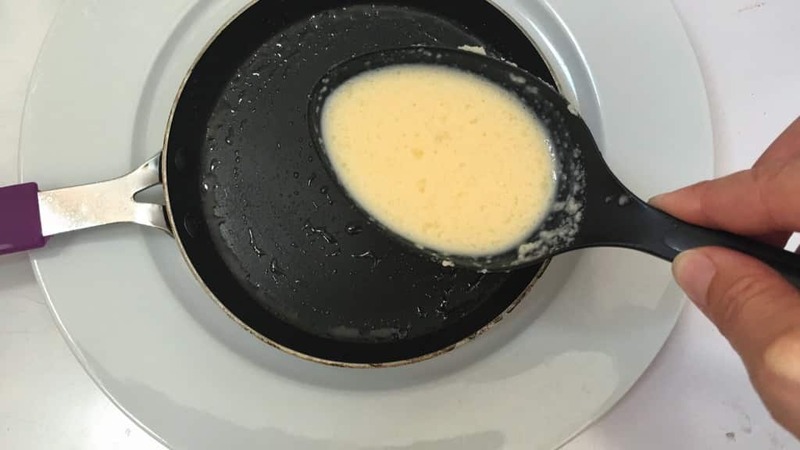 Place it under a hot grill for a couple of minutes and you have a great crepe au gratin! Ever heard of a crepe cake? I was recently in Shanghai and Tokyo and there crepe cake was really popular! What is it? It is a tower of very thin crepes stacked up and spread with freshly whipped cream and such. I tasted a slice of green macha crepe cake and it was delicious! Crepe cakes are a great alternative for the usual birthday cakes as well. I’m not too fond of sweet cakes and stuff but I do love crepe cake! You can get creative when you decide to make one: add a layer of fresh fruits halfway (strawberries look awesome), chocolate or nutella. Do google it because it looks great, you will get inspired right away! In Belgium and The Netherlands we don’t say crepes but call them ‘pannenkoeken’, which sounds more like and literally means ‘pancakes’. But since pancakes are way much thicker than crepes, it can be confusing sometimes. If you really want to be sure of what you are ordering, ask whether you will get ‘American pancakes’ or ‘French crepes’. So what’s the secret behind how to make crepes then, the best crepes ever? 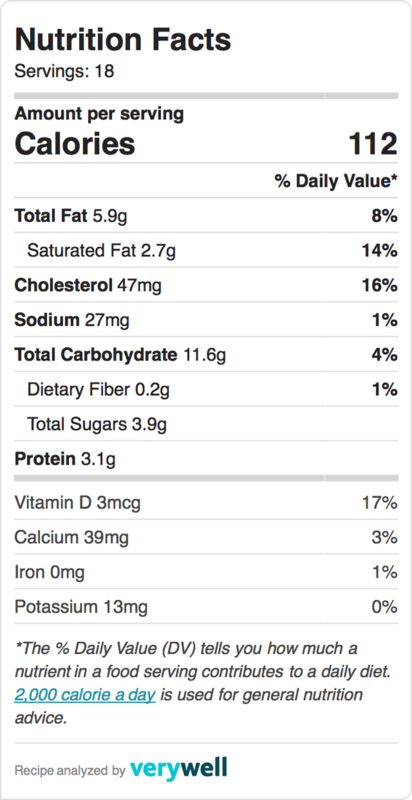 The ratio between the ingredients, not surprisingly. I guess every family has his own recipe for homemade crepes. 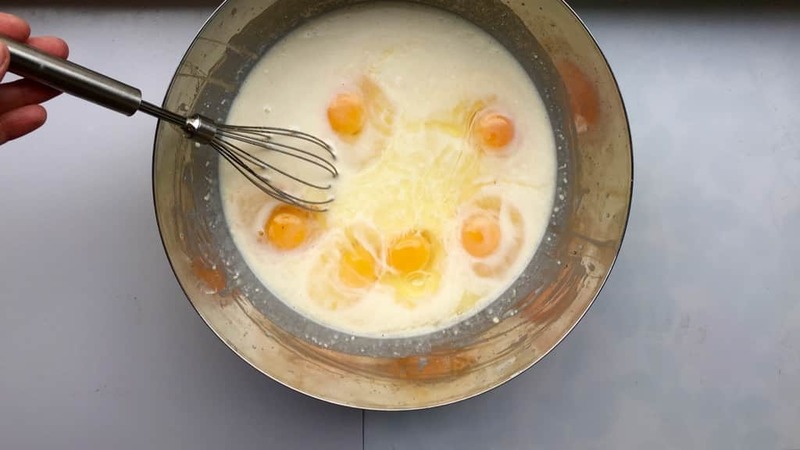 Whatever you do, you need the 4 basics: self-raising flour, milk, eggs and sugar. Period. After that you can add vanilla extract (or bean) and other flavors. Like I said in my introduction: you can replace a portion of the milk by sparkling water or beer. Sounds like a good plan! Now that you know how to make crepes… it’s time you start experimenting then! My recipe is fail proof and always works! Time to get cooking, good luck and enjoy your homemade crepes! Great crepe recipe, will be using again thank you!!! !